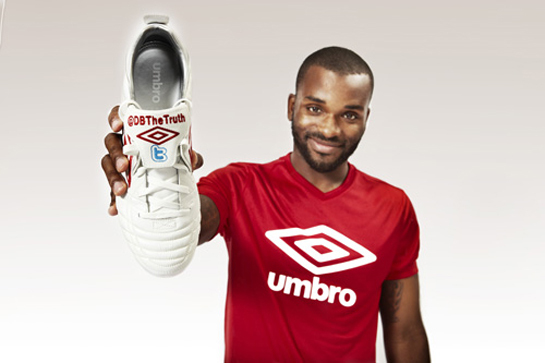 Sunderland’s Darren Bent went ‘Tweeting’ mad when he personalised his Umbro Speciali football boots. Darren Bent hit the headlines in the summer for using his Twitter account ) to have a go at Spurs chairman Daniel Levy for holding back his transfer from Spurs to Sunderland. Now he’s becoming renowned for his Twittering, he’s decided to publish his Twitter account name on his football boots. Bent d'©buted the new personalised football boots when Sunderland drew 2-2 with West Ham. Bent didn’t get on the scoresheet, but has a modest tally of eight goals from ten games. Bent has also used the Twitter community to help him decide upon his next pair of football boots which will see him featuring a dynamite design on the sole of the football boot. We’ve seen initials, children’s names, squad numbers and more used in boot personalisation, but is this the most bizarre boot personalisation you’ve come across? ĂÂ˘Ă˘â€šÂ¬Ă‹Ĺ“El mano de Dios ĂÂ˘Ă˘â€šÂ¬Ă‹Ĺ“86ĂÂ˘Ă˘â€šÂ¬Ă‹Ĺ“ The hand of God added to Messi’s boots is the best one! The weirdest is this one by Bent, of those who see his boots, whose gonna write it down and follow him? Clint Dempsey has that stupid snake logo on his boots. Something to do with him rapping I think. 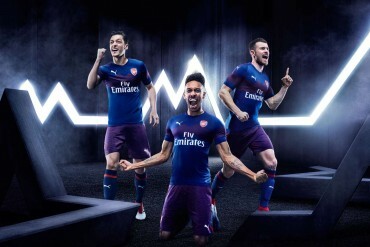 Theo Walcot has TH14 on his boots. Same initials and number as Thierry Henry. Beckham and Lampard are both bizarre. They have a logo of themselves on the boots. What on earth is he putting a twitter id on his boots for? its just a pr gimmick. 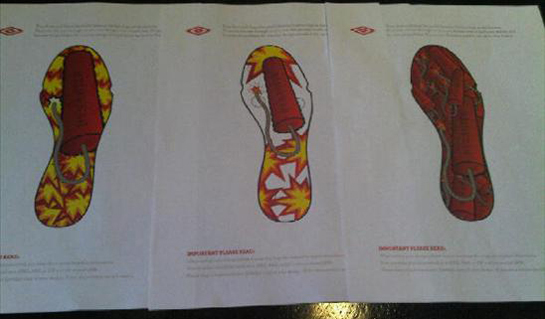 I like the middle design for the sole of his new boot. Its much more interesting than sticking your twitter name on your tongue. I like the third sole. Also, the reason the snake is on clint dempseys shoes was because of propaganda in the revolutionary war, for you need every part of the snake to be successful. And, clint dempsey (ace- rap name)’s boots are sick. Everyone has their own style so its important what they put on their boots. David Villa has a lot of stuff written on his boots. The other has the asturian flag and the other one has the flag of spain while both boots have his nickname and the name of his daughter. its definitely a gimmick, but how much do you want to bet hits on his twitter have skyrocketed since?